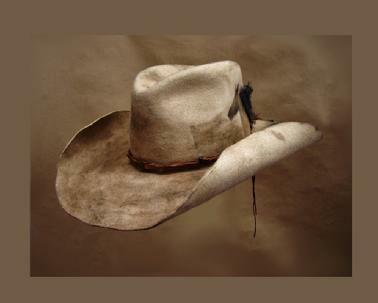 Aged and distressed 50X Beaver hat comes with it's own blemishes, the true character of an individual. 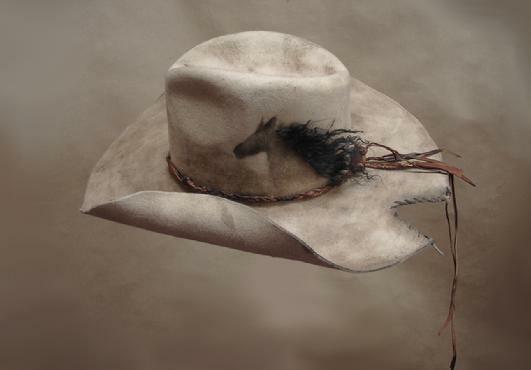 Brocade lined hand made hat with braided deer leather hat band. 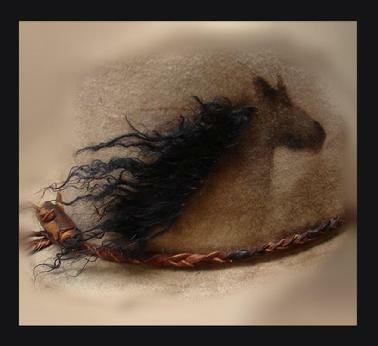 Original art with Tibetan Lamb mane, sizes 7, 7 1/8, 7 1/4, 7 3/8 in stock. Each hat will vary slightly as it is a work of art. Call if you'd like another size.